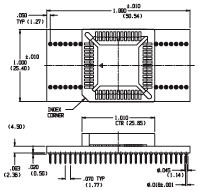 "Aries is the worlds leader in Standard IC Adapters, and in Custom Production IC Adapters"
NOTE: -- This page shows Aries STANDARD "Correct-A-Chip" IC adapters. These are mostly one to one pin translations, or commonly needed special pin translations. -- If you do not see what you need here Aries can easily make it for you, very cost effectively. 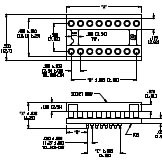 Aries specializes in custom, or made to order, IC Adapters with any pin translation to suit your needs from proto quantities to full large scale production quantity. 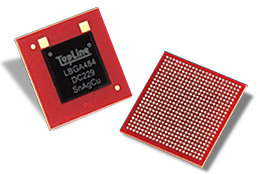 For Aries Custom "Correct-A-Chip" Adapters see Custom IC Adapters. -- Don't see what you need ? Ask Us. Aries can easily make it for you. Aries specializes in custom, or made to order IC Adapters to suit your needs from proto quantities to large scale full production IC adapters. For Aries Custom Correct-A-Chip Adapters see Custom IC Adapters. -- Think you have to SPIN ?.....................Think Aries Production IC Adapters instead! Any Footprint To Any Footprint. "Save Money, Save Engineering Time, Save Time to Market"
"Your Problem Solved Quickly and Cost Effectively"